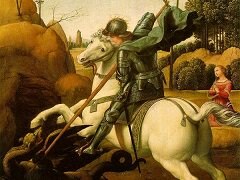 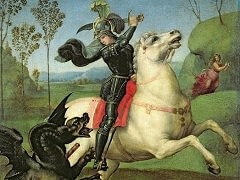 St George's lance has been broken in the struggle, but the proud knight is about to vanquish the dragon with the sword, and so free the princess, who is fleeing on the right. 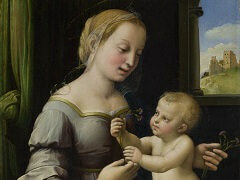 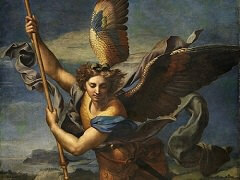 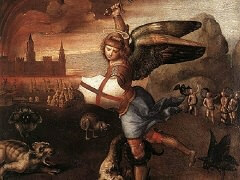 By the middle of the 16th century this panel formed a pair with Raphael's St. Michael. 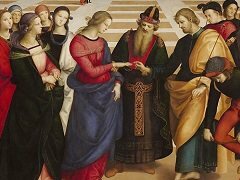 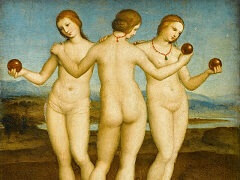 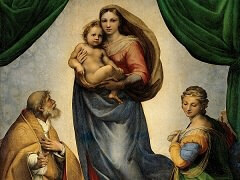 Even though the latter was painted somewhat earlier, the fact that they are the same size and have a comparable iconography implies that Raphael intended that the saints should belong together. 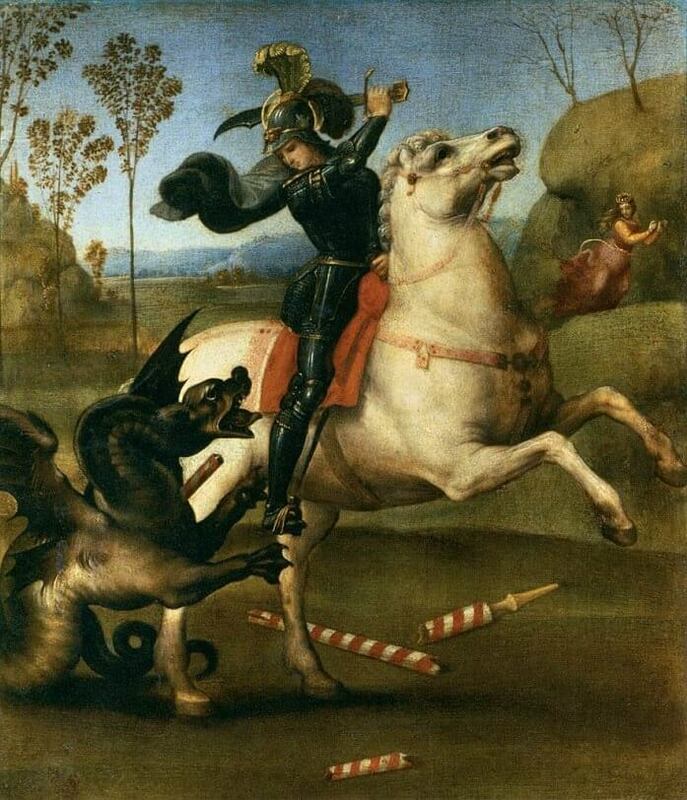 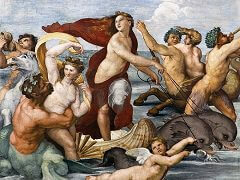 The principal pictorial source for the battling horseman may be found in Leonardo, whose interest in such a rearing equestrian group goes back to his Milanese years and even before and reached a culmination in Florence during precisely the time Raphael was in that city: Leonardo was then working on the Battle of Anghiari cartoon. 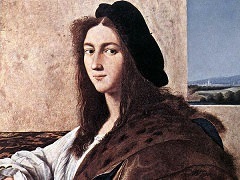 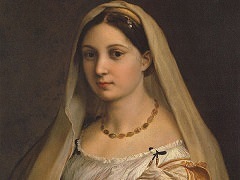 There is evidence in the form of a sketch that Raphael was engaged by this work, and he may also have had an opportunity to see some of the many studies Leonardo had prepared for it. 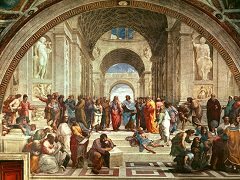 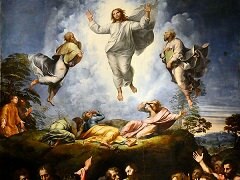 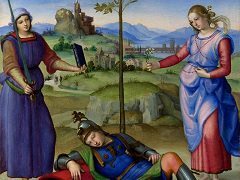 But the final result in this little picture is purely Raphael's own, based upon an equilibrated vision, movement, action, and the justice of an exact composition.